Oh no! Bummer on the molasses. What a disappointment. But the peanut butter ones look awesome. We've all had those epic fail moments in the kitchen; you're a good sport to share yours. I agree with you on the church cookbooks, they are always the best. I'm shocked how simple this is! I can't wait to make them. And now I'm curious about molasses cookies as well. Hmmm. Gosh - I hate recipe fails - it always feels like time & food waster! But I absolutely love this recipe! It looks so easy and delicious, I'm going to make it tonight with my 2 boys - hopefully substituting white sugar for the honey will be okay. Oh no! 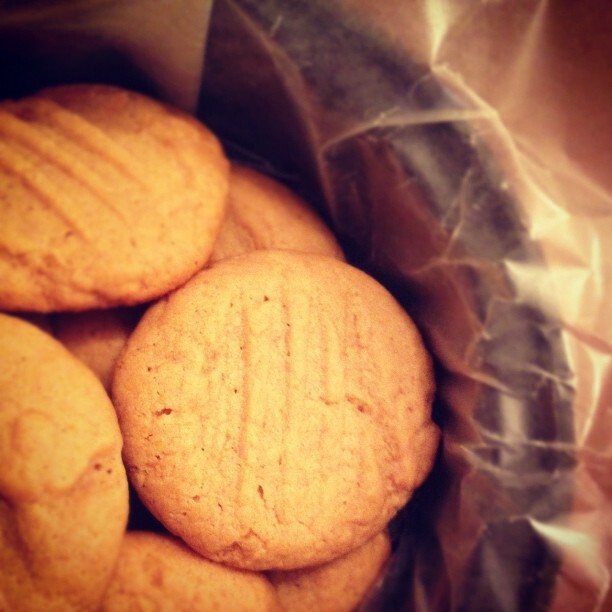 My peanut butter cookies taste like molasses without any molasses. They're just egg, peanut butter, and dark brown sugar. I didn't know that about molasses. But peanut and honey is such an awesome combination, my son make sandwiches of pb and honey, not jelly. Lucky co-worker, they look so good! You are brave trying to bake. I am just not disciplined enough with measuring quantities to do it. 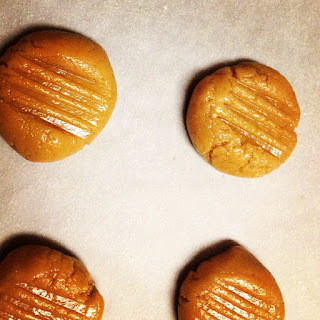 Nice to have a PB recipe without added sugar! Thanks for sharing. Sorry to hear about the blackstrap. That stuff is strong! I love your ability to make lemonade from lemons and honey :) Great post. I love honey and peanut butter these will be in my cookie jar soon. The peanut butter cookies look awesome. Bummer the other ones didn't work out. They look yummy. But yeah, I dont' want to be eating sulfur. Funny, those 'fails' look good. Very dark, but good. Hey! I made that mistake, once. I still like having blackstrap molasses in the kitchen, but I use it in bread and mix honey with it. But the PB&H ones look fantastic! I didn't even realize there were different kinds of molasses! There's nothing more frustrating than baking something only to have to toss it. I recently had to do that with my daughter's first birthday cake. Two layers of homemade strawberry cake. In the trash. The final cookies look delicious, though! I'm always interested in substituting white sugar - excellent recipe! So many cookies require a mixer. I need to invest in one. Are there any you recommend? Cari: Good question. Not many of my cookie recipes actually require a mixer - it just cuts down on the time and effort. Creaming butter & sugars by hand is time consuming, but you can totally do it. If you do go for a mixer, I suggest either a stand (as in Kitchenmaid, for $$$$) or a basic electric (such as Cuisinart) with detachable beaters. As I said, it just cuts down on time and effort, but if you think you'll be baking a lot, totally worth it. I bake about 3 times a month, and I usually think to myself that I could get by with a basic electric mixer. For now though I borrow the stand mixer from my roommate. Sadly, she's moving out at the end of July and I'll have to go back to my pre-stand mixing life. i have that cookbook too. i'll have to see whose recipe it was... looks pretty good. and i totally understand why you thought the molasses would work... cause you know, it was a cookie staple back at home. hooray for saving the day with honey! Too bad the others didn't work out, they sounded so yummy. 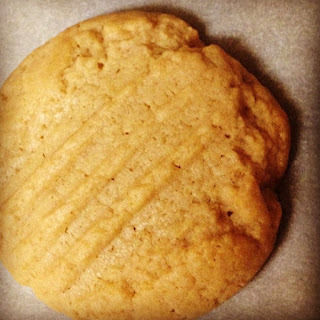 I do like the idea of the honey peanut butter cookies too. Wow! 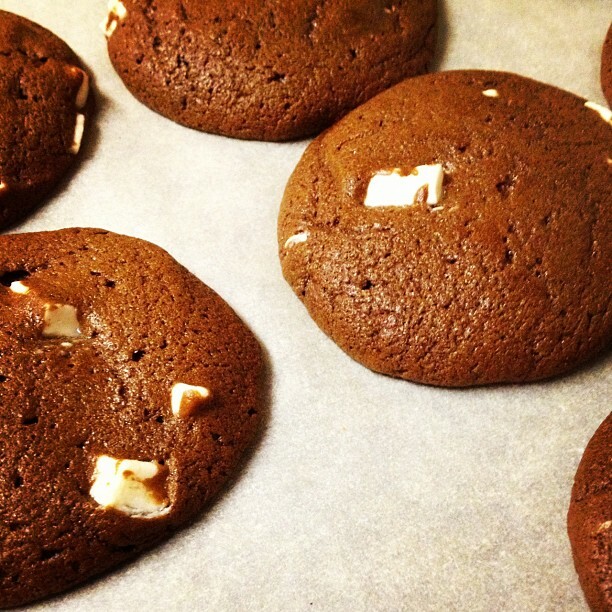 The Peanut Butter Molasses Cookies with White Chocolate Chunks looks sooo good in the picture!! They look nothing like a fail!! I am totally going to make these they look delicious! !! We've given up sugar for Lent &, 4 weeks into what seemed like a good idea at the time, one cold & blustery night we all had the munchies for something sweet. Excellent recipe, thank you! I added in some ground ginger, mixed spice & cinnamon & that worked really well. So thanks to you, we're still on the wagon & the recipe is a keeper. Mmm . . . this may have to be our Sunday treat this week. I love anything peanut butter and honey.